End-to-End outsourcing of its global network and infrastructure/applications by integrating the core strengths of two large suppliers, British Telecomm and HP. 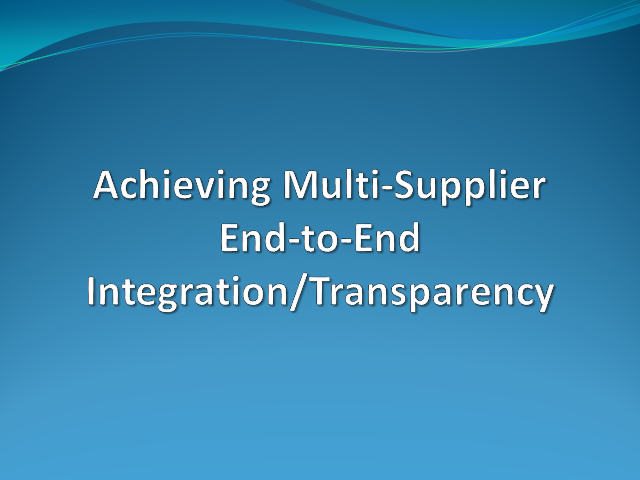 This webinar will describe how ITIL v3 was used to leverage Procter & Gamble’s 6 year outsourcing foundation to establish the multi-supplier framework. It will focus on Operational methods employed to achieve, and evaluate a cost effective, reliable, and end user transparent ETE service model.